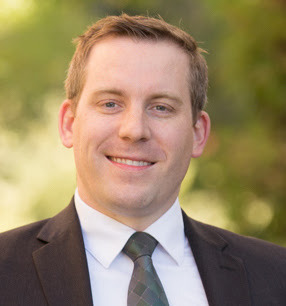 Today, Benjamin Eagleton, an attorney in BPE Law’s Estate Planning practice, begins a multi-part series on the ins and outs of a California Probate. Probate is not that ominous and it’s not always terrible. While Probate can involve time and legal expense, there are many laws that can preserve and protect assets, which can result in valuable savings. This six-part blog series is an introduction to California Probate, it provides a basic overview of the process and procedure. Probate is an area of law which among other things, governs the Transfer of Property upon death. Some property can only be transferred by Court order and requires judicial oversight, but some property transfers are simple, quick, and inexpensive. “POD” Accounts – “Payable on Death” Accounts designate one or more beneficiaries who, upon the owner’s death, will receive the entire account balance. Proof of death must be supplied to the financial institution holding the account. Joint Tenancy – Property that is titled in a Joint Tenancy also transfers automatically upon death. Bank Accounts and Securities transfer much like POD Accounts after proof of death is offered. Real Estate transfers are also similar, but require an Affidavit of Death to be recorded. Revocable TOD Deed – A Revocable “Transfer on Death” Deed transfers Real Estate and is a combination of the POD and Joint Tenancy transfers. A beneficiary is designated on a separate deed, and upon the owner’s death, will receive the entire property after proof of death is recorded. Trusts – Revocable Living Trusts, and various types of Irrevocable Trusts can also control the transfer of property without Court order. Trusts are used to transfer property of great value, which would otherwise require judicial oversight. Transfer by Affidavit (Personal Property) – The Probate Code provides a summary procedure that allows $150,000 of personal property to transfer when an Affidavit is made under penalty of perjury. Property can transfer with, or without a will. Transfer by Affidavit (Real Property) – Real Property can also transfer by Affidavit, so long as the value does not exceed $50,000, which is rare in California. When applicable, an Affidavit can be filed with the Court, then recorded in the County. This procedure is very quick and inexpensive. Petition to Determine Succession of Real Property – Real Property exceeding $50,000, but valued at less than $150,000 can transfer in one short, limited proceeding, where no Executor or Administrator is appointed by the Court and only one appearance is required. Spousal Property Petition – Real Property exceeding $150,000, can transfer to a Surviving Spouse or Domestic Partner, also in a limited proceeding where no Executor or Administrator is appointed by the Court and only one appearance is required. Petition for Probate – When Real Property and Personal Property is too great in value, and cannot transfer by summary procedure, a formal Probate proceeding is commenced to administer the Estate. This involves the appointment of an Executor or Administrator, multiple Court appearances, and legal expenses increase. However, there are ways to limit judicial oversight and to eliminate some of the expense, these will be discussed in later Parts. California Probate does not have to be terrible. A competent Probate Attorney can help create a plan for your Estate to avoid Probate, or if no plan was made to minimize the time and expense involved in transferring property upon death. Today, we began our look at the probate process in California. Probates can be daunting and concern many individuals, but dedicated legal professionals can help guide you through that process. 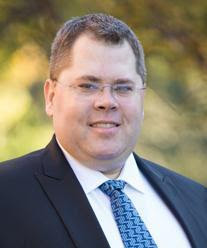 Attorney, Benjamin Eagleton, shares the ins and outs related to probate over a multi-part series. Also, remember that we do legal presentations for business and community organizations. If your group would like this, please contact Alex, Steve or me to set up a date and time.